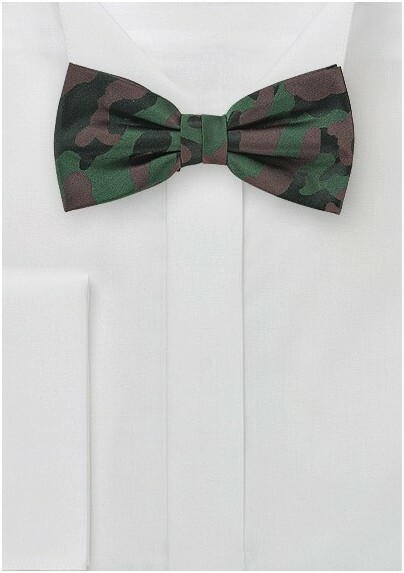 Add a dose of camo to your keen of style this season with this extra hip Pre-Tied Camouflage Silk Bow Tie. 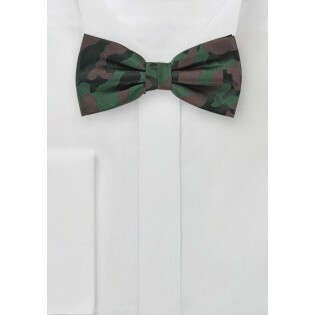 This dapper accessory is quickly becoming one of our most popular designs for all ages. We recommend pairing with with a white dress shirt and tan blazer. 100% Silk | Style: Pre-Tied | Length: 14" to 21"